With such a terrible winter this year what would you do to get in the water? I got on a plane and jet set off to the Solomon Islands to try out the newest addition to the SIDE (Solomon Islands Dive Expeditions) fleet, the Taka Live Aboard. For those of your unsure of what I mean when I use the term Live Aboard, I’m referring to a purpose made dive vessel that you sleep, eat and dive from for your holiday. My stay aboard the Taka lasted 4 nights and gave us the opportunity to do 5 dives a day. 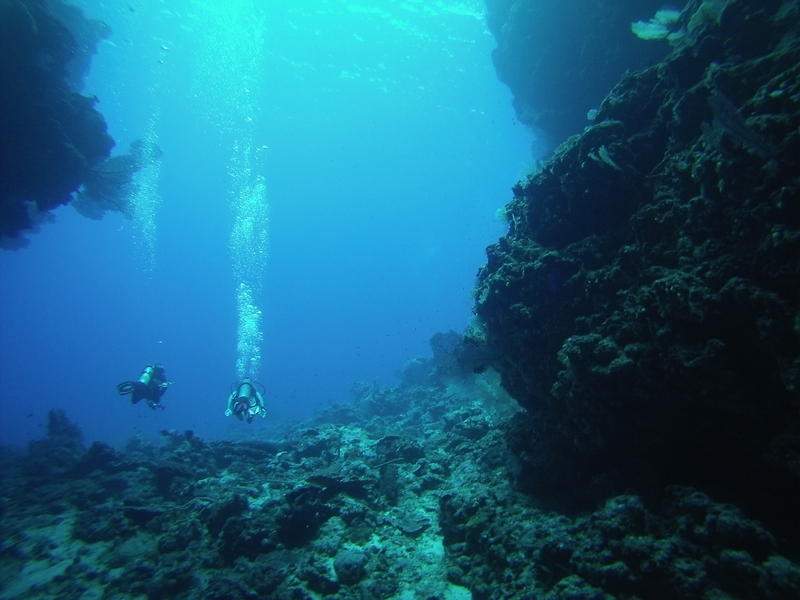 Locations ranged from 60 meter drop offs, to majestic caves, to bommies and all the beautiful reefs in between. The abundance of life was the first thing to come to my attention, or should I say the distance that I could see the abundance of life from! 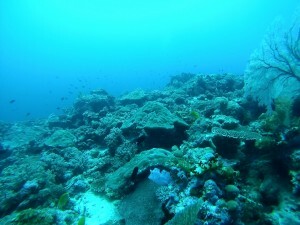 40 meter visibility made you feel like you were near the surface from depths of 25 meters. The bright colours of the fish and corals were lit by the beams from the tropical sun streaming through the water. Water, which I should definitely mention was a delightful 28 degrees. Diving without a wetsuit and just in a thermal top and bathers made for the ultimate feeling of being free; a feeling that was definitely lacking in the waters of South Australia when diving this winter. 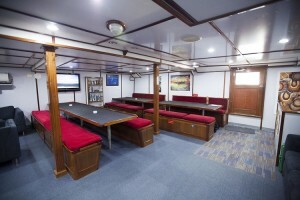 The main deck had the dive deck, lounge and dining. Below deck had the budget rooms, that were air conditioned, small but comfortable. Up a deck took you to a covered lounging area, were you could take in the views and relax out of the sun’s rays. This deck also had the upper deck cabins that, as mentioned, had en-suites and controllable air conditioning plus that little bit of extra space. 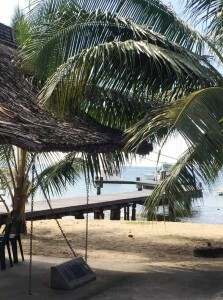 The top deck was another hang out space with hammocks, a great space to hang out and relax between dives. The Dining room on the Taka. A good place to hang to between dives chatting or even playing board games. The Taka. 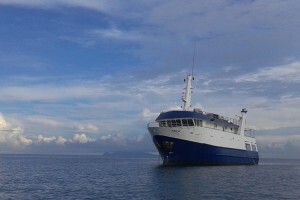 The only Liveaboard dive vessel in the Solomon Islands. Her first voyage with Solomon Island Dive Expeditions was on the 1st of February 2016. The dive deck aboard the Taka. 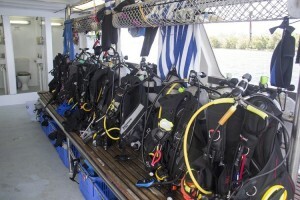 plenty of space above and below for storing all your dive gear and a wrack for hanging wetsuits and thermal garments between dives. White Beach, our first dive site of the day was strewn with remnants of the war including tires, concrete blocks and even a tractor. 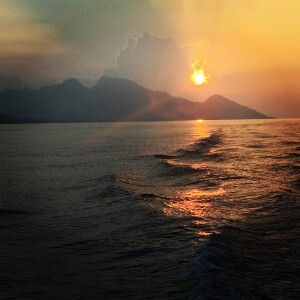 The fiery sunset as the Taka made her way back to Honiara after 3 incredible days. The engine block of the Hirokawa Maru or Bonegi 2 that was sunk during a battle between the Amercans and Japanese in 1942. Each day would progress in basically the same way. Wake, snack, dive, eat, dive, snack, dive, eat, dive, snack, dive, eat, sleep and repeat. Although they say you can opt to skip a dive, just accept that the dive you miss will probably be the dive that the shark or the crocodile will be seen. The Dives are beautiful and the food is delicious and abundant. Fresh made cakes, muffins and cookies for snacks between dives with fresh fruit always about for the grabbing. The crew was friendly and always ready for a joke. When we weren’t eating or diving, our 1 hour surface interval would be spent lounging on the upper decks or checking out the photos from a previous dive. Overall it was definitely an experience I would happily repeat and highly recommend. Keep your eyes peeled for a Trip through the shop to the Solomon Islands aboard the Taka. 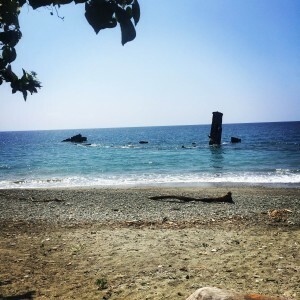 Once on dry land again we dived with Tulagi Dive on the Hirokawa Maru locally known as Bonegi 1 and Kinugawa Maru or Bonegi 2 (Bonegi due to the beach that they are located at). These ships are Japanese ships remnants of the war fought between the Japanese and Americans for the control of the communication and supply lines during the Pacific War of World War II. While diving these wrecks you could just feel the history that emanates from their structure and the enormity of their size. Both were a shore entry dive that allowed you to follow the ship down and have plenty to look at on the safety stops. They lay in the shallows and follows the bottom that drops off quite quickly. The Hirokawa Manu reaches depths up to 56m and although has been heavily salvaged still has the engine clearly visible, and penetration is easy through the rear holds. The Kinugawa Maru is 100m up the beach from Hirokawa Maru and can be seen by the engine block protruding from the water. It sits in up to 26m as it was beached higher than the Hirokawa Maru. If you enjoy wreck dives these are definitely worth the visit, although I will warn that if you dive them with Tulagi Dive you will make the drive out there in the back of an open tray truck on wooden benches that allow you to feel every bump in the road. If you haven’t yet visited Solomon Islands, there is A LOT of bumps in the road. So I would advise you slather yourself in sunscreen and pack a large water bottle. Before heading home we stayed 2 nights in the Solomon Kitano Mendana Hotel, which was nicely presented and had a pool for us to lounge by in the evenings. The restaurant in the hotel had nice food, although a bit over priced since the hotel usually houses people from the United Nations and expats. We were given the opportunity to explore other accommodations within Honiara, which made me very glad to be staying at the Mendana. The Pacific Casino, presented so much opportunity with its many bars, casino, and multiple restaurants to choose from; but after exploring it, you will never find me staying there, EVER. Just take my word for it, don’t go there. By far my favourite place that we visited was the Coral Sea Resort and Casino. 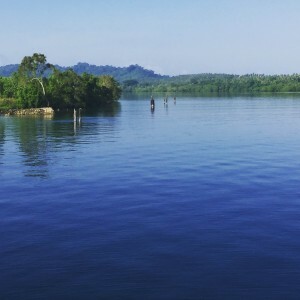 It is a very new resort, in fact the accommodation part of the resort was still under construction, but the grounds, pool, restaurant and even the casino were immaculate and presented the tropical island resort that you craved after seeing the conditions of the streets of Honiara. The restaurant was extremely well priced and had delicious food! All I can say is if I ever have to have an overnight stay in Honiara again, it will definitely be at the Coral Sea Resort and Casino. Dry Suit Diving – I know what I’m doing this Winter! We are a proudly South Australian family owned and operated business that prides ourselves on our fun and friendly approach to outfitting divers, snorkellers, freedivers, spear fishers, swimmers and triathletes in the best gear possible.